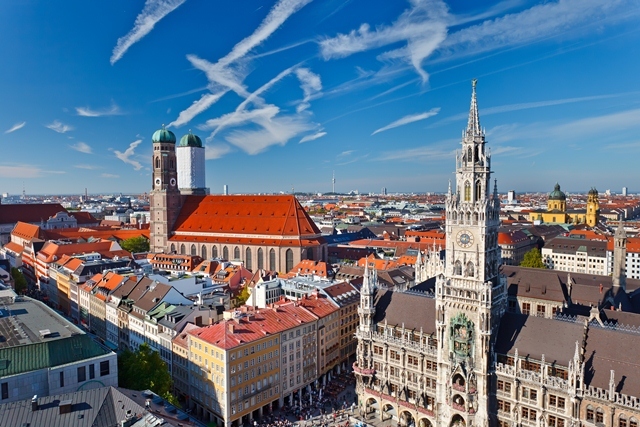 EBN has the pleasure of announcing that the 4th TechCamp will take place in Munich, Germany, in partnership with EU|BIC gate - Garching on the 26-27th of November, 2014. "Train the trainers: business knowledge bootcamp to high-tech entrepreneurs"
This session will provide essential business knowledge for technology-focused start-up companies to help them raise their competitiveness and sensitize participants on potential business development issues within their venture. Based upon the experiences of the first two trials, this session’s objective is to organise a workshop for incubation program managers in order to provide them with a generic scheme and scheduling proposal to discuss the results and exchange experiences from the first two trials. "How to become an EU|BIC expert and auditor"
An intensive training lead by the head of the quality services at EBN, Giordano Dichter. He will guide you through the latest tools and procedures involved in the process of becoming an EU|BIC expert! In addition, GrowthWheel®, a tool for decision-making in start-up and growth companies that helps business advisors and entrepreneurs get focus, set agenda, make decisions, and take action will deliver a ‘Growthwheel Certification Course’ following the techCamp Days, providing the opportunity to obtain the necessary license and use tools for the purpose of training and coaching of entrepreneurs. If you want to keep up to date with the latest industry trends, join us in this unique and exciting environment, where you will be able to network with your peers, learn about new support tools, new methodologies and exchange best practices! How to deal with the creative bug! This 4th edition of the EBN Tech Camp will take place in Werk1 in the centre of Munich, Germany. Below you can check "how to get to Werk1"
Visit Munich, the capital and largest city of the German State of Bavaria and third largest city in Germany after Berlin and Hamburg. Famous for its beautiful architecture, beer gardens, fine culture, and fantastic museums! Gate Garching is a Technology and Business Incubator which provides the bridge between idea-generation and scientific development to start-ups with marketable products as well as linking researchers and entrepreneurs. By providing tenants with a modern infrastructure and administrative support, Gate Garching acts as a contact point for cooperation, especially in the initial phase of entrepreneurship, as it is crucial to benefit from the experience of other companies in other development stages. 1.How to register to the EBN TechCamp? You may register directly online in the official website www.ebntechcamp.eu –follow the instructions that will guide you through the registration system. Indicate which typology of participant you belong to: EBN Member / Non-Member /Tool designer/Speaker. and if you have any food requirements. You will receive an invoice shortly after your registration. Only once payment is confirmed will your registration be complete. 2.What are the TechCamps' fees? 3.What is the cancellation policy? Cancellation should be made in writing 10 days before the TechCamp starts. After that date the total amount will be lost. The full amount of your registration will be reimbursed minus 10% of administrative fee. A substitute person may be named before the event. 4.How to book a hotel? A list of suggested hotels may be found in the Accomodation page on the website. 5. Do you want to have a stand at the exhibition area? If you would like to have a permanent stand during the event days, register a tool on the 'Tool' tab of the website. The tools below have already been selected to be displayed and showcased at the EBN TechCamp. If you have a tool you want to showcase, Propose it here! GrowthWheel is a visual toolbox for decision@making and action planning for start@up and growth companies. It helps entrepreneurs build their businesses through a simple action@oriented process that stays true to the way most entrepreneurs think and work. Contact Giordano Dichter if you are interested in the GrowthWheel certification course which will happen in Munich on 27-28 November. Special conditions for EBN members and EBN TechCamp participants! ViaNoveo sells its SAAS collaborative software suite ViaDesigner integrating ISMA360® (Innovation Systemic Marketing Analysis). ViaNoveo helps its customers to identify & develop growth leverages, and design access-to-market strategy. References among large companies, SME’s & BIC: HSBC London, GDF-Suez, Total, ST Microelectronics, OFFIS Germany, Yroz, Seemage, BioCare, Air Liquide, St John's Innovation Center Cambridge, ICT Labs Europe, Paca Est BIC, SATT LuTech, etc. Creative Accelerator is a new approach to creative business support, combining expert face-to-face advice with a set of on-line tools and a dashboard. It is being used in two main ways: firstly, by business support intermediaries, to assist their expert advisors deliver a thorough service for less money. Secondly, by incubators & coworking centres, to provide better targeted member support. The philosophy of Creative Accelerator is to ‘look through the lens of individual businesses, to feel and think like them’. In taking this personalised user journey with each business, it enables the supporting organisation offering the tool to be more effective, whilst at the same time giving the creative business the tools to help itself grow and succeed. The e-Commerce Personalisation Genie is an automated system with the help of which you can create your own personalised e-Commerce strategy based on the individual characteristics of your business. The focus is on increasing cross-border sales through the implementation of specific actions in support of the most important elements of the e-Commerce life cycle, such as Ordering, Delivery, Payment, Promotion, etc. BIC Lazio will present The Canvas Game at the EBN TechCamp in Munich. The Canvas Game is a new business game designed to apply in a professional environment with start ups and potential entrepreneurs. The aim of the game is to stimulate the creation of a joint business project in the framework of the Business Model Canvas and to set up a network among SMEs and start ups thus creating an open community. The Canvas Game has been developed thanks to the implementation of the 3c4 Incubators Project. Designed and presented by the Brazilian EBN Member Tecnopuc, Startup Garage is a program which supports business modeling. It helps people who have ideas and do not have the knowledge of the tools needed to validate their hypotheses and turn them into sustainable businesses. It works on the most important pillars for any endeavor: the entrepreneur skills, understanding the problem and the customer, the value proposition and the business model itself. In addition, issues related to law, accounting and intellectual property protection are also covered in the program. Laval Mayenne Technopole will be presenting NeoShop, an innovative shop that offers the opportunity to test and sell innovative products which need to be launched on the market. It allows people to discover, test and buy the most innovative company products, which are mainly manufactured or digital-bound for the general public (B to C). It is one of the of the tools developed by the organisation to achieve their core mission, that is, boosting economic development through innovation. Singu R&D is a complex platform dedicated to the management of incubators presented by Velis IT System. It supports service dellivery for companies located in incubators and accelerators, increases service levels and reduces the time needed to spend on tenant support. Singu R&D exponentially increases the efficiency of financial management. Join us at EBN TechCamp 2014 on the 27-28 November in Munich, Germany to learn about new business trends and latest handy tools! 2- How to deal with the creative bug! 3- How to enhance acceleration! For more information, please contact one of our team members below or call EBN on +32 2 772 8900.